Leaking Natual Gas Pipes: Dangerous and Costly! On April 17 a natural gas explosion destroyed a home in Dorchester, injuring a dozen people, two of them seriously. While we don’t know for certain that the gas leak came from an old pipe, we do know that National Grid had been called to the residence numerous times before to respond to the odor of leaking gas. Tragic explosions have occurred in recent years in Springfield, Gloucester, Fitchburg, Somerset, and Winthrop, in addition to Dorchester! Natural gas leaks are also dangerous to our atmosphere. Natural gas is composed of methane, which is 34 times more powerful greenhouse gas than carbon dioxide. 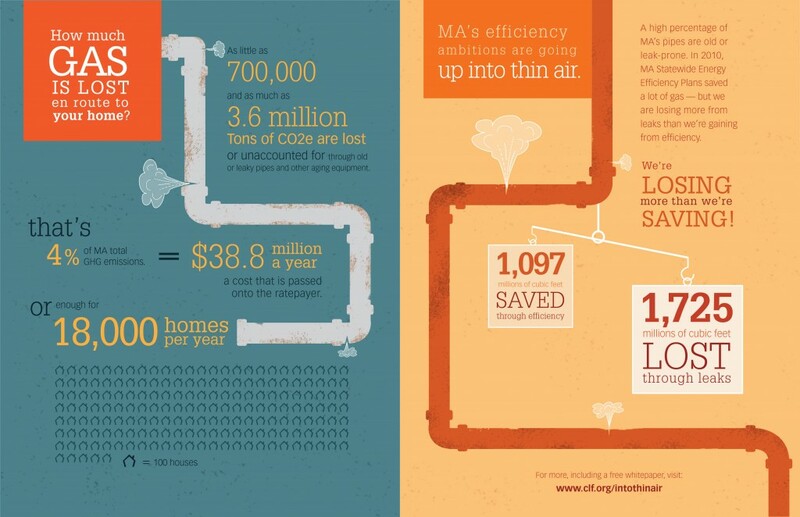 According to Conservation Law Foundation, in Massachusetts “1,725 million cubic feet is lost through leaks each year — more than the 1,097 cubic feet saved through efficiency gains” through Mass Save. Boston’s Climate Action Plan, last updated 3 years ago, does not include any recognition of leaking gas pipes as part of the City’s greenhouse gas inventory. Join BostonCAN on May 15th for a Gas Leaks Meet-Up to call on the City to count the leaks and advocate for replacing the old cast iron pipes in a prompt and systematic manner. Previous Article Support Climate Activism in Boston Neighborhoods in 2014! Natural gas leaks are also dangerous to our building.